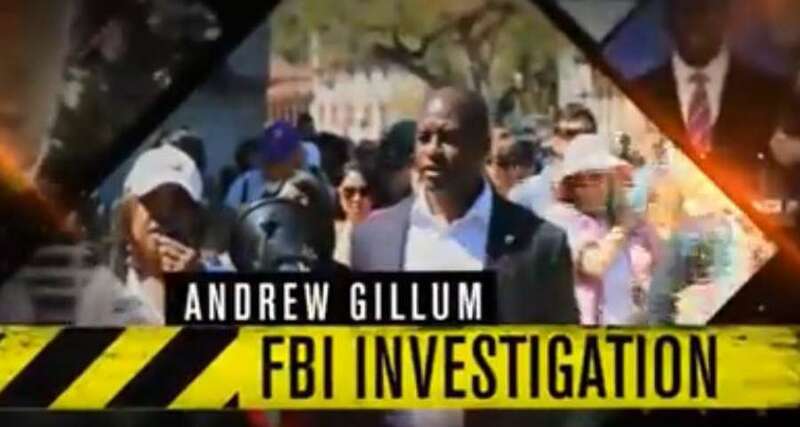 Ron DeSantis and the Florida GOP are launching their toughest attack ad yet against Andrew Gillum, raising eyebrows and questions about the tastefulness of attacking the mayor of a city as a monster Hurricane is poised to hit his region. The ad is running in the markets in the path of Michael. Craig Fugate, the former Federal Emergency Management Agency administrator and Florida Emergency Management Director, on Twitter urged DeSantis and other candidates to knock it off during this crisis. In Tampa Tuesday DeSantis brushed off a question about the appropriateness of his attack ads at this point. "You run your campaign the way you run your campaign. It is what it is," he said. "We've had all this planned out long before and we're going to stick with our plan so people will see that unfold in the next day or two." Florida Democrats held a media call Wednesday with U.S. Charlie Crist, Miami Beach Mayor Dan Gelber and Former Miami-Dade County Mayor "to demand that Ron DeSantis take down the despicable, new attack ad." Other Democrats and Democrat-aligned groups have likewise denounced the call.